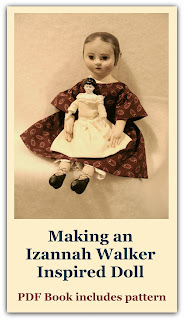 It struck me the other day that there are probably some key magazine articles and books about Izannah Walker Dolls. These are copyrighted but it would still be good to have a list of writings about Izannah Walker so people could know about them. 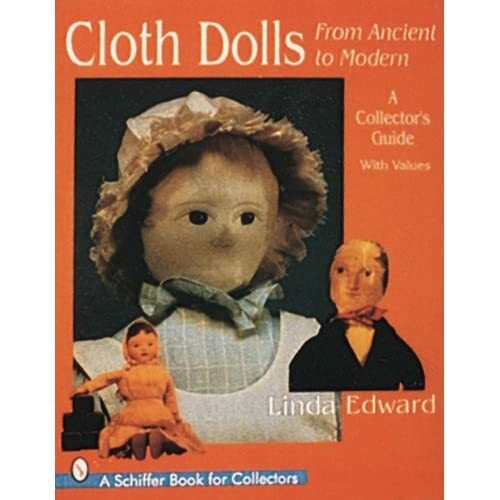 Cloth Dolls Ancient to Modern by Linda Edward has some great information and wonderful pictures of original Izannah dolls. The link provided is to the author's site where you can purchase books autographed by her. If you know of other good sources please let me know! I found this through Michelle's(Tink's) blog and I'm so glad I did. "Try making an Izannah Doll" is on my list!! I will definitely have to use this for reference when I finally get a chance:o)! Lorraine - they are fun to make. I hope you do get to it on your list. It's been one of the funnest things for me in the last year to get into "Izannah's World" so to speak. 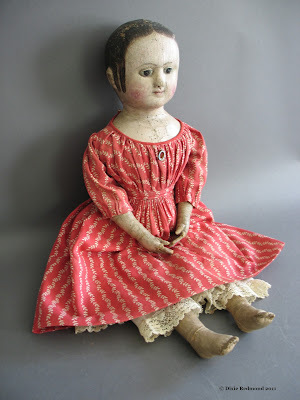 I know my dolls are inspired by, but there's a feeling in her dolls that are somewhat like the Mona Lisa painting.